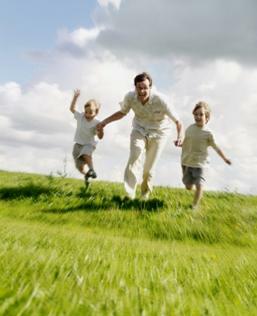 Life Insurance Plan That Is Right For You. Hello San Diego California Neighbor! I am here to help you find the plan that’s best for you. As your trusted Life Insurance Agent, I am here when you need me, not just at enrollment. When you have questions, I will get you answers. Anything can happen, anytime. Now is the time to make this a priority. Your Homeowners Insurance protects your home and contents from damage by fire and other catastrophes. But what about the people who live in your home - your family? For most of us, Life Insurance is the cornerstone of our families' security. If it is a while since you updated your life insurance coverage, you may be leaving your family under protected. If you have no life insurance at all, your loved ones are in even greater danger of not being able to cover all the expenses they would face if something happened to you. That is why we are pleased to offer you and your spouse the opportunity to apply for a Life Insurance policy. Applying is simple and convenient. One-on-one we can look at your needs, explore your choices and decide on a plan with confidence. Feeling Insecure About Your Financial Security? With all the things you rely on for your family's security - like your job, your house, your retirement - looking more and more uncertain in today's economy, isn't it good to know that you can still count on Life Insurance? If something happen to you prematurely, you will always be able to count on the Life Insurance you get today to help your family through tough times. To help you add more financial security to your family's future, I recommend you apply for any amount up to $250,000 of affordable Term Life Insurance (Term level premium policy - which means your rate is locked in for 10, 15, 20, 25, or 30 full years) or select any amount from $10,000 up to $50,000 of Whole Life Final Expense Plan. Life Insurance provides an important margin of safety that can help your family pay the bills when you are no longer around to take care of them. If something happens to you, those debts become your family's responsibility. Life Insurance can help replace your lost income, providing cash your family may need, so there is less chance of them losing the things you have worked so hard to give them. Have you recently gone through a change in your life? Did you get married or are you about to do so? Have you had a child or taken on the responsibility of caring for elderly parents? Perhaps you have recently moved to a more expensive apartment or bought a new home. Are you now a single parent? Whether married or not, if you have children, college might be in their future. These are all important reasons to help protect your family's financial future with Life Insurance and help safeguard the lifestyle your loved ones currently enjoy. Most people do not want to think about facing a terminal illness like cancer… or being stricken with a critical illness like heart attack or stroke… or suffering a chronic illness leaving them unable to perform activities of daily living, such as eating, bathing or dressing. Ask us about, Life Insurance That Offers Living Benefits AND Death Benefits In One Convenient Solution. Know the Rates - Life Insurance you don’t have to die to use (10 to 30 Year Guaranteed Term). There may be no better way to show your family how much you really care than by anticipating their needs ahead of time. I can’t control the future, but I can assist with helping select the right life insurance protection to help you deal with whatever life throws your way. You really should act on this now, because if you continue to put it off, changes in your health or turning another year older can make obtaining the life insurance you need more expensive and harder to get. Nothing feels as good as knowing you have done all you can to make sure your loved ones are protected. Your beneficiaries can use the money to help cover things such as: Medical bills, Funeral costs, Housing, Mortgage, Living expenses, College tuition, Retirement expense. So instead of spending another night worrying about what the future may bring, call me today at (858) 549-6758 for the family’s protection plan review. Salamat for the opportunity to be of service to you. Please keep my contact information handy and call me whenever you need answers to your Life Insurance questions. If you know of anyone in San Diego California who needs Life Insurance, please remember me, Referrals are important to us (your friends or relatives, nephews, nieces, uncles, aunts, cousins). Licensed Speak Filipino Insurance Agent Mira Mesa, Miramar, Mission Valley, Mission Village, Murrieta, National City, Normal Heights, North Park, Ocean Beach, Oceanside, Mira Mesa Speak Filipino Life Insurance Agent, Old Town, Pacific Beach, Paradise Hills, Point Loma, Poway, Ramona, Rancho Bernardo, Rancho Penasquitos, Rancho San Diego, Rancho Santa Fe, Mira Mesa Speak Filipino Licensed Insurance Agent, Santa Luz, Solana Beach, Sabre Springs, San Clemente, San Diego, Serra Mesa, San Luis Rey, San Marcos, San Ysidro, Scripps Ranch, Santee, Temecula, Mira Mesa Speak Filipino Licensed Insurance Agent, Spring Valley, Torrey Highlands, TierraSanta, University City, University Heights, Vista, Alpine, Bonita, Mira Mesa Speak Filipino Life Insurance Agent, Carmel Valley, Cardiff By the Sea, City Heights, Clairemont, Carmel Mountain Ranch, College Grove, Coronado, Crown Point, Camp Pendleton, Carlsbad, Del Mar, El Cajon, Mira Mesa Speak Filipino Life Insurance Agent, Chula Vista, Escondido, Encinitas, Encanto, East San Diego, Fallbrook, Hillcrest, Imperial Beach, Speak Filipino Mira Mesa Insurance Agent, Jamul, Kensington, Kearny Mesa, La Costa, La Jolla, Lakeside, Lemon Grove, Leucadia, Logan Heights, Lake San Marcos, Speak Filipino Mira Mesa Insurance Agent La Mesa, Linda Vista, Mission Beach, Mission Hills, Fashion Valley, South Park.